Alvin Huang is a smart guy. He’ll answer to designer, architect, inventor, and educator—but we took a closer look at his work in 3D printing and are prepared to add another: scientist. Like any soup-to-nuts problem solver, he has skills in a lot of fields and the mentality to guide him through any foreign ones, but his process for exploring what’s possible with desktop and industrial 3D printers deserves our attention. 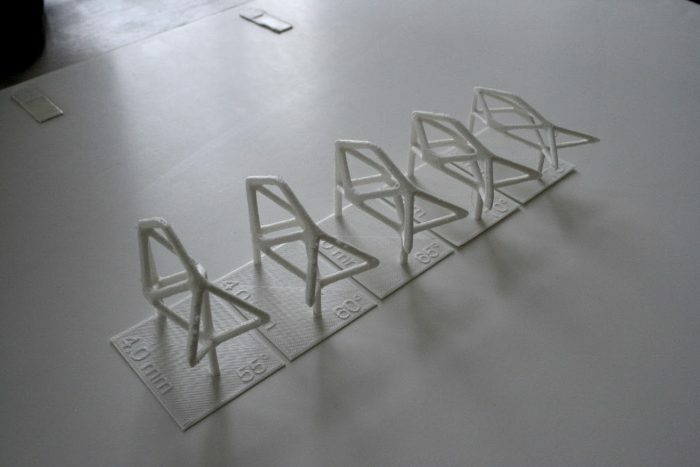 In 2014 Huang set out to build a fully 3D printed rocking chair. Dubbed the Durotaxis Chair, it’s named for the microscopic cellular structures it emulates. His challenge was to build a piece that could only be possible with additive manufacturing, and that could take advantage of some of the gradient stiffness properties of new Stratasys materials. The result is a stunning examination of additive manufacturing, generative design, and material properties, all bundled under the classic design exercise: build a chair. After quite an undertaking from concept exploration all the way to fabrication, the Durotaxis Chair combines a cutting edge mesh with classic ergonomic and functionality studies, but boy was it wasteful. Huang found that over 75% of the material used in the process was support material, necessary to achieve the chair’s unique geometries. So he began exploring the limitations of “supportless” 3D printing. How dramatic of an overhang can FDM printers create without supports? Starting with the concept of “corbelling,” a masonry technique that cantilevers bricks one over another until they form an arch, Huang explored how steep an angle he could 3D print depending on how much material he supported the overhang with on the back end. 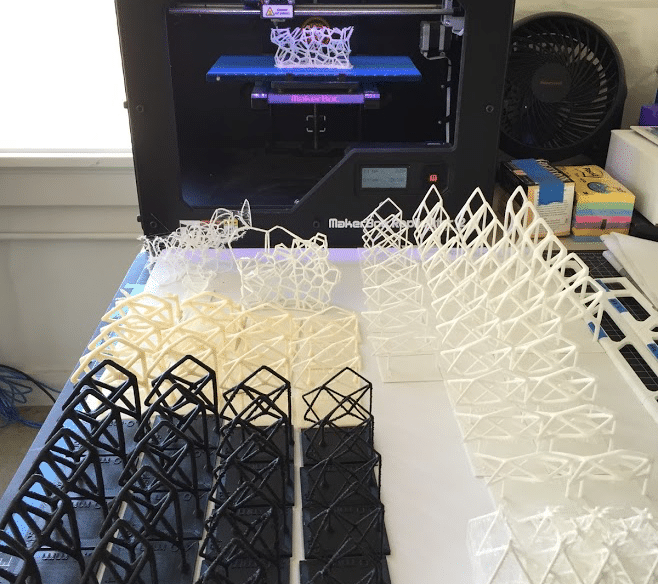 Most 3D printers top out at 70º overhangs before the print structures begin to fail, but Huang was able to control the thickness of his structures to push to upwards of 75º or 80º, then program those constraints back into his mesh topology algorithms. 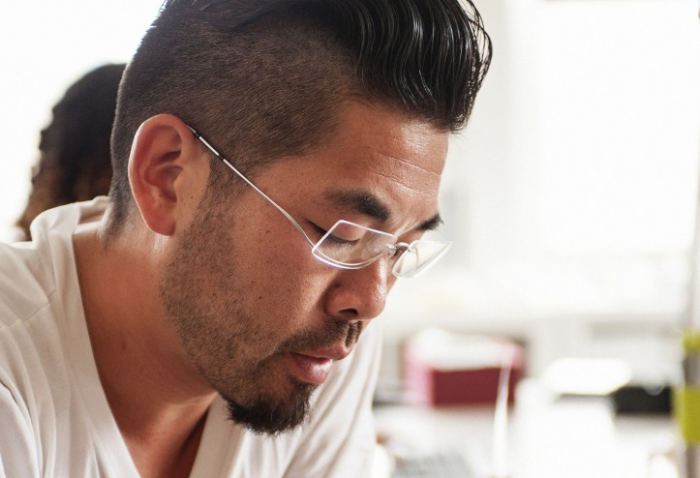 After exploring overhang limitations, Huang took his findings to create a bespoke lamp. 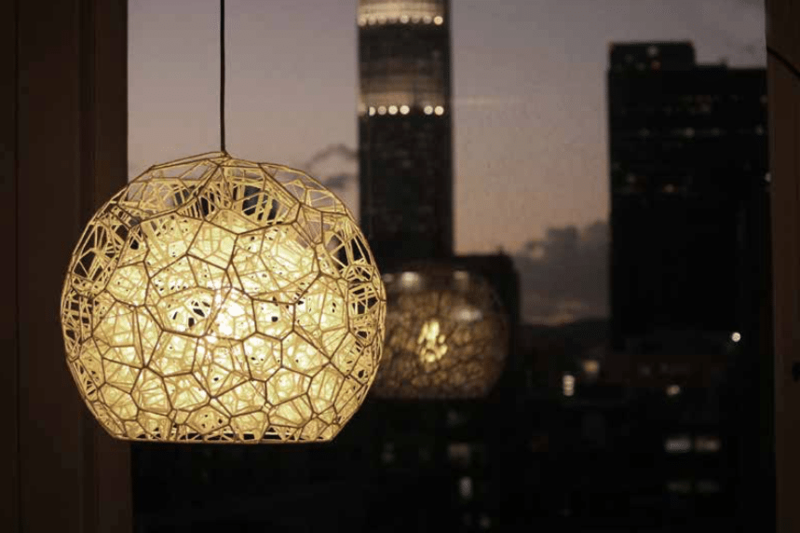 This lamp packs as many of those small complex geometries into one space as possible. The result is “La Burbuja,” an 18-part luminaire that has over 1200 “virtual bubbles” surrounding a single light. 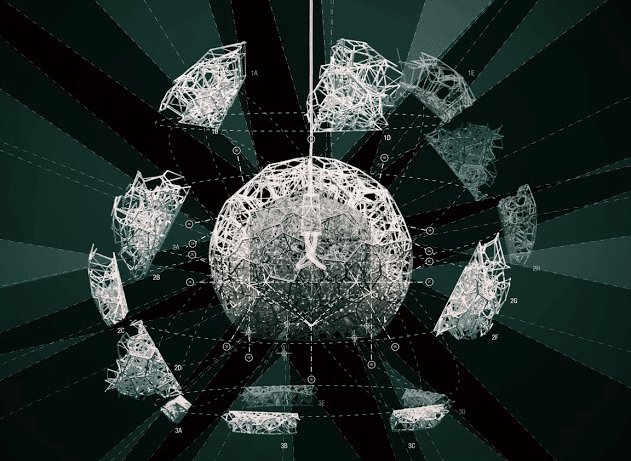 With zero waste and zero post production, he was able to create a form with a visually exciting maze of internal geometries that fit together as a cohesive, recognizable sphere. These dual-natured objects are examples of what Huang describes as “proto-architecture.” They are themselves single one-to-one scaled things; the luminaire is a functional lamp, the Durotaxis is a functional chair, but they each explore much larger architectural ideas. “Digital craft” is a modern set of skills and processes that sit at the intersection of fabrication and materiality. In more traditional manufacturing cycles, designers typically wouldn’t consider the final manufacturing materials until near the end of the process. 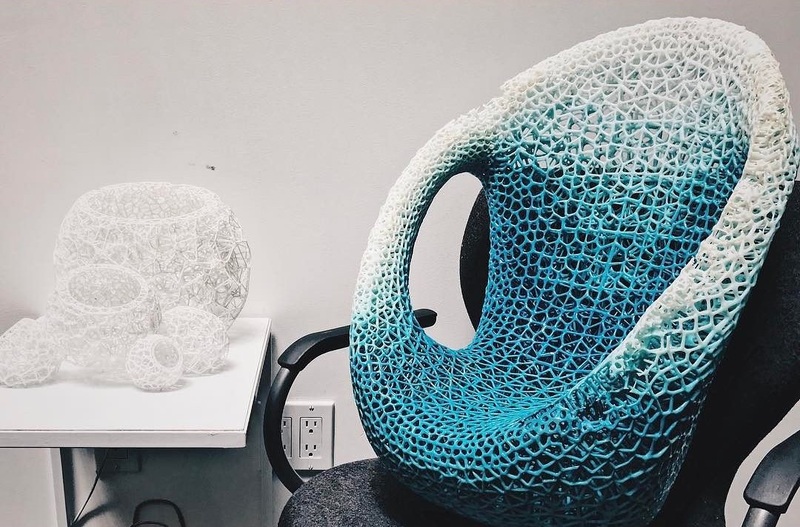 “Digital craft” enabled by 3D printing puts those considerations smack at the beginning of the design cycle, a place where the designer’s new digital fabrication capability informs the entire process from concept to completion.